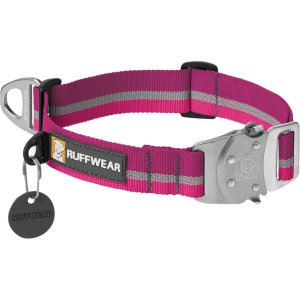 Visit Ruffwear's DoubleBack Collar page. 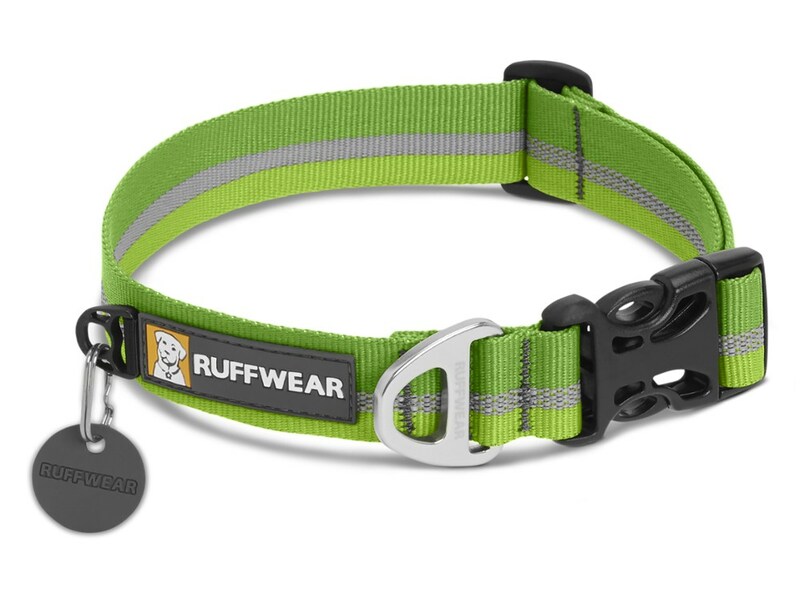 Ruffwear made the Doubleback Dog Collar for your German Shepherd or other large, strong best friend of the canine variety. 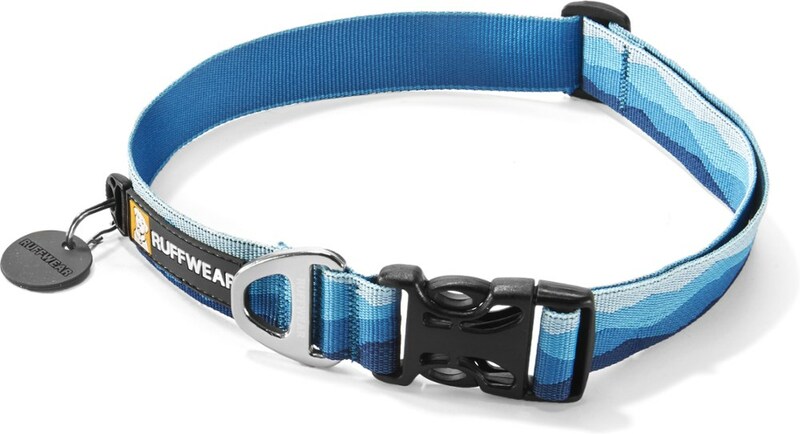 Ruffwear took its inspiration from a rock climbing harness to create this super burly dog collar: Tubular webbing and high-strength aluminum hardware won't break, and you can doubleback the webbing, just as you can on your harness, so you know it'll hold your huge dog. 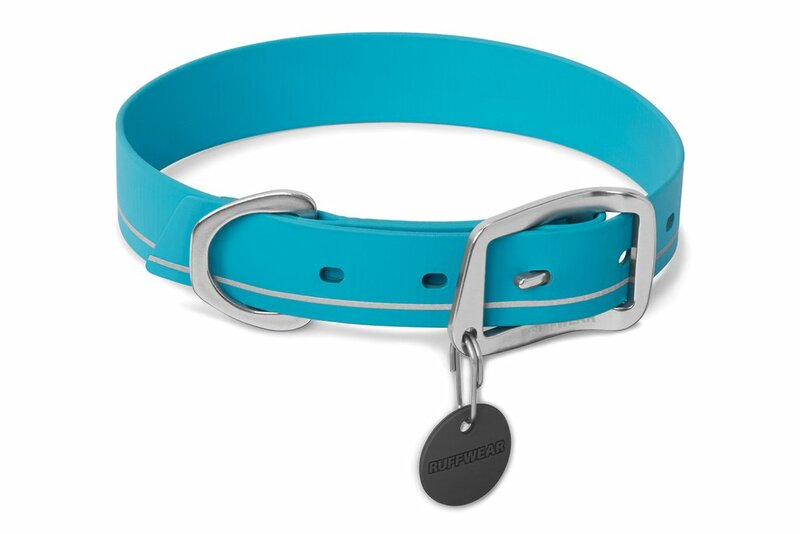 You can micro-adjust the fit of this collar for your furry buddy's comfort. If your dog's most recent leash was cordelette with figure-8 knot, it's time to upgrade your pup's gear with Ruff Wear's Doubleback Collar. Designed like a climbing harness, the collar can be fastened using either the straight-through method or doubledback for added security. We're proud to admit it. 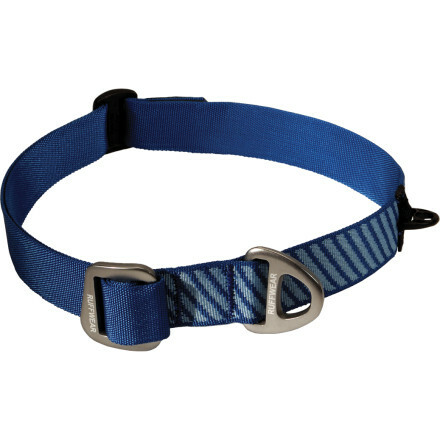 For this one we thought of an important piece of safety gear-a climbing harness-then built an inspired collar. Nothing wrong with strength, function, durability, performance, and safety-agreed? Wear this collar with pride. 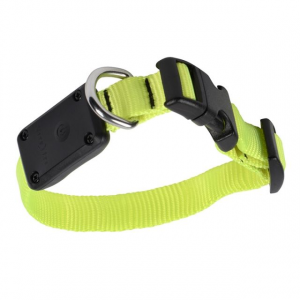 The Ruffwear DoubleBack Collar is not available from the stores we monitor. It was last seen June 28, 2013	at Mountain Gear.